LITTLE UNDERSTOOD. The crystallization of honey is little understood by the consuming public. Many assume that crystallized honey is adulterated or ‘spoiled.’ This is not so. What's more, the crystallization of honey actually preserves the flavor and quality characteristics of your honey. Many honey users prefer it in this state as it is easier to spread on bread or toast. 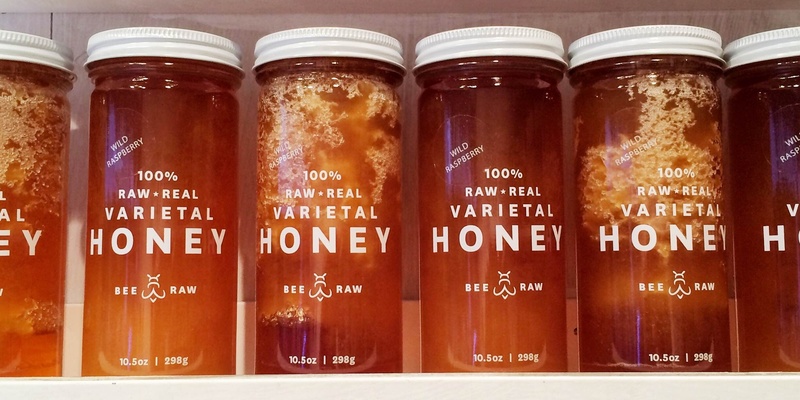 Indeed, some raw honey recipes can be easier to make with partially or fully-crystallized honey —and, the taste is richer. Honeys also vary in the size of the crystals formed. Some form fine crystals and others large, gritty ones. 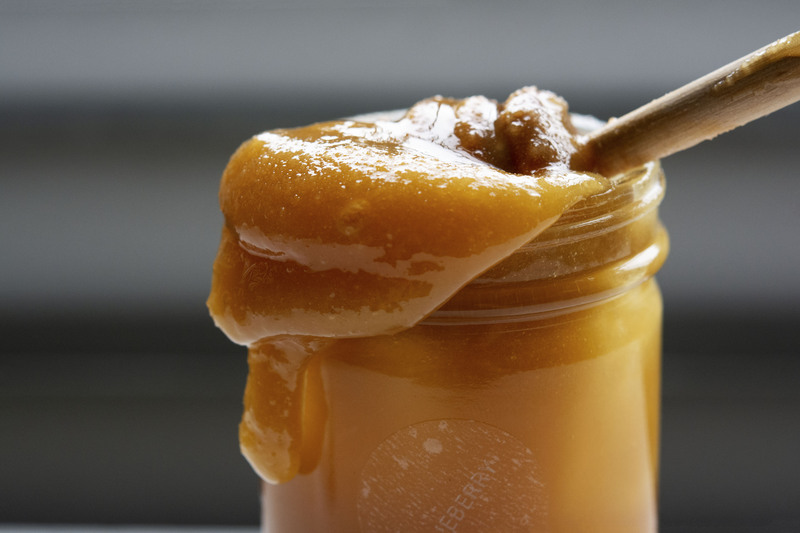 The more rapid honey crystallizes, the finer the texture will be. And crystallized honey tends to set a lighter/paler color than when liquid. This is due to the fact that glucose sugar tends to separate out in dehydrating crystals form, and that glucose crystals are naturally pure white. Darker honeys retain a brownish appearance. Hungry for more chemistry? Honey is a highly concentrated sugar solution. It contains more than 70% sugars and less than 20% water. This means that the water in honey contains more sugar than it should naturally hold. The overabundance of sugar makes honey unstable. Thus, it is natural for honey to crystallize since it is an over-saturated sugar solution. When glucose crystallizes, it separates from water and takes the form of tiny crystals. As the crystallization progresses and more glucose crystallizes, those crystals spread throughout the honey. The solution changes to a stable saturated form, and ultimately the honey becomes thick or crystallized.